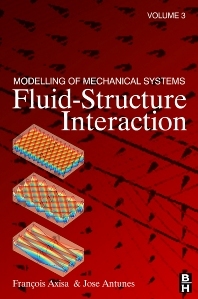 François Axisa is Professor of Mechanical Engineering at ENSTA, France, and holds a research post in flow-induced vibration problems at Centre d’Etudes Nucleaires de Saclay, France. He is the author of more than 50 papers on vibrations, damping and associated subjects and has been involved in numerous international conferences and meetings. José Antunes is researcher at the Institute of Nuclear Technology (ITN, Portugal), in charge of the Applied Dynamics Laboratory, and for twenty years visiting researcher at Centre d’Etudes Nucleaires de Saclay (CEA, France). A PhD in mechanics from Paris University, he co-authored a book and more than fifty peer-reviewed scientific publications in the fields of flow-induced vibrations, nonlinear dynamics, system identification and music acoustics. His work was awarded two ASME prizes.